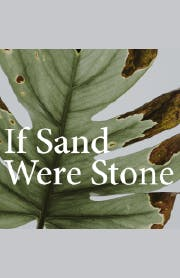 If Sand Were Stone follows a remarkable poet as she and her family grapple with her early-onset Alzheimer's disease at the peak of her career. As their world unsteadies and shifts,they must learn how to hold fast to love, against all odds. Loosely based upon a true story and inspired by extensive first-hand research with Alzheimer’s patients and their families, If Sand Were Stone is a testament to the resilience of the human spirit and, most importantly, to fierce love.